Foodie Travels: Dutch Broad Cafe, Forest City, N.C. EDITORS NOTE: Dutch Broad Market & Cafe moved from Spindale to Forest City following this original posting. Farm-fresh, local food is one of America’s hottest, sustaining culinary movements. Sourcing menus with ingredients grown nearby and incorporated into dishes is quite the chic practice, and it’s a common trend across North Carolina, a state historically known for its wide variety of farms and products. Our slice of the world, however, still seems to have a meager plate of options from which to choose a fresh-prepared meal with ingredients that are a combination of locally grown, organic and healthy. Luckily, that’s exactly what a new restaurant in Rutherford County provides, along with many other delightful features. The Dutch Broad Cafe in Forest City bases its menu on a farm-to-table concept that accents the local, health-conscious options that more and more people are asking for. The restaurant and coffee shop along the main business district of the small town offers a perfectly simple list of food choices through its cafe, and it serves those items in what I would call a nice-casual environment. In other words, you’ll find nice tablecloths and cloth napkins, but you can be comfortable wearing your shorts and T-shirts. The menu itself offers an easy-to-navigate variety of sandwiches, wraps and salads, along with a few appetizer and dessert options. 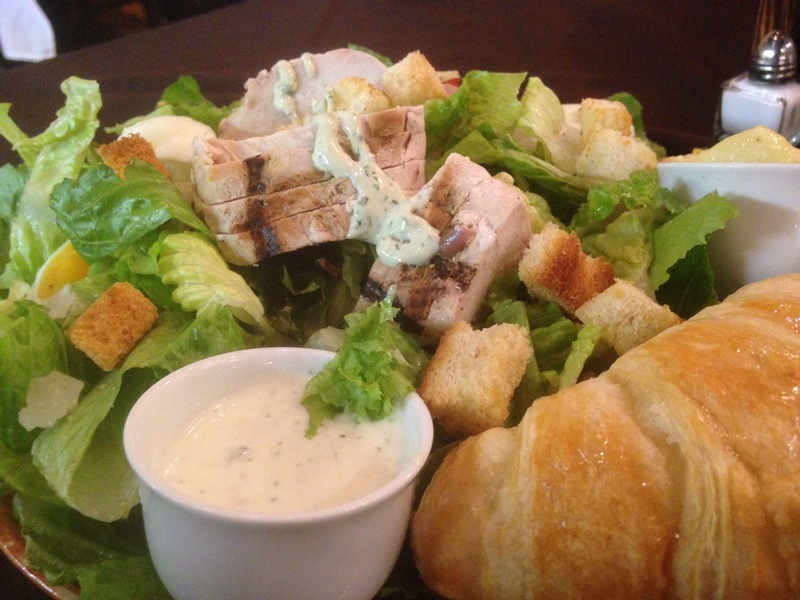 Molly ordered the chicken caesar salad, which delivered a large portion of fresh lettuce and tomatoes, crispy bacon pieces, tasty croutons and a heaping helping of flavorful grilled chicken, along with a delicious house-made caesar dressing. Most people could make three portions out of the salad, which also comes with a warm, soft croissant topped with honey butter. True to my ordering form, I chose the burger option on the menu. 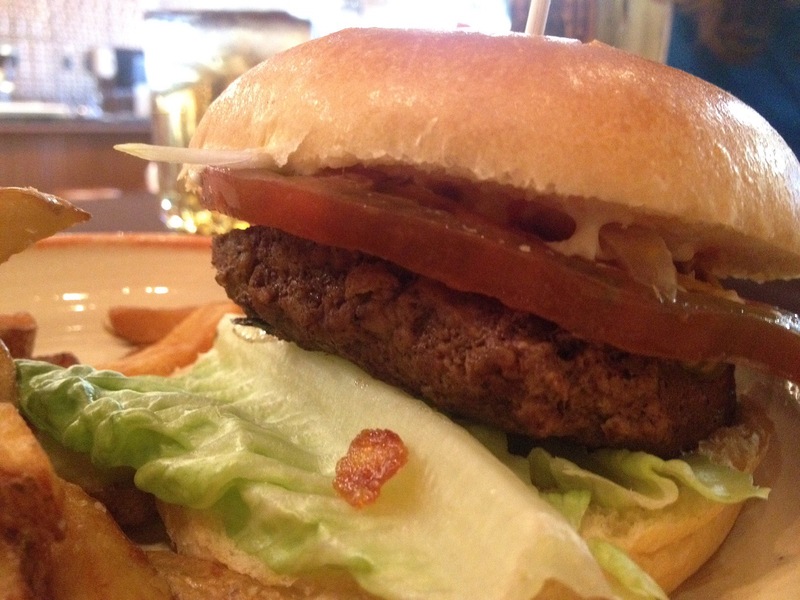 But this was no ordinary American restaurant burger. No, this was a grass-fed patty with beef from Hickory Nut Gap Farm in Asheville, N.C., topped with lettuce, tomato, condiments and my choice of cheese. I selected the Dutch cheese, which the chef with Holland roots brings from the country herself. All of that comes on a fresh bun, with a side of crispy-outside, soft-inside Dutch-style fries. The burger was top notch, in taste, in toppings, in size and in price. After our entrees, we sampled the vanilla bean creme brûlée, which the chef delivered to the table herself and torched in front of us. It was a scrumptious vanilla custard, with a crispy coating top, and accompanied by two wafers on the plate beside it. 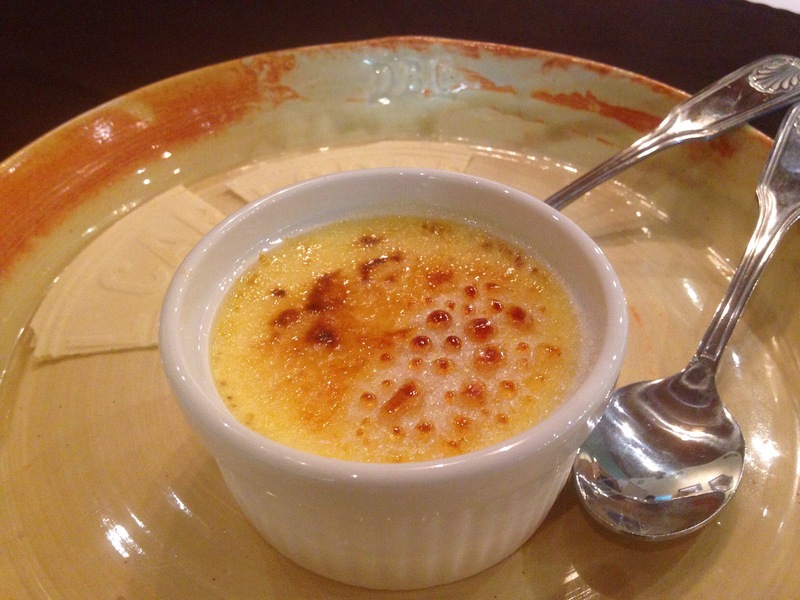 We enjoy creme brûlée because it’s a nice light, not super-sweet dessert to immediately follow a meal. And this one was as good as any we’ve had in the region. We also had a chance to sample the warm, fresh donut holes you’ll find on the menu. The soft dough pieces came with an organic dark chocolate and a smooth-sweet caramel pair of dipping sauces. “We don’t use anything that’s day old,” one of our servers told us near the end of our meal. Based on our first visit to the Dutch Broad Cafe, I’d agree. This is not a place where you’ll find a never-ending menu or all of the heavy and calorie-packed American food items you can get at all the other restaurants. This is a place where you will be greeted by multiple smiles and hellos when you enter. Based on our experience, it’s a place where you’ll get an ample portion of quality food that is commensurate with the price you’ll pay. And it’s a place where fresh ingredients are the basis of every item on the menu. 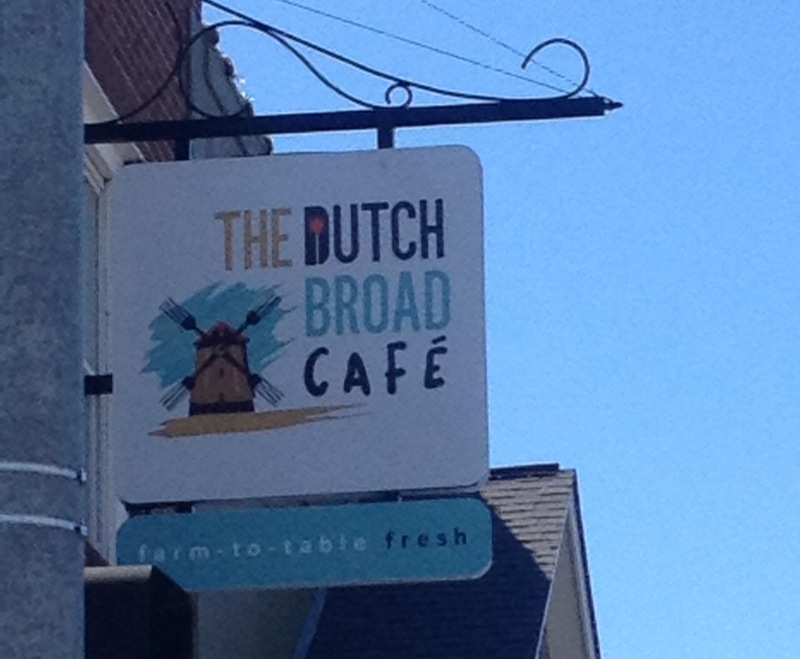 Dutch Broad Cafe is old-school hospitality, mixed with the contemporary fresh-food concept and a Holland-influence twist. It’s a formula that works, and it’s one we’re ecstatic to support. 654 W. Main St., Forest City, N.C. Previous Foodie Travels: Copper Penny Grill, Forest City, N.C.
We loved it also! We go once a week for the burger. Awesome! The burger was great! 🙂 Thanks for commenting!